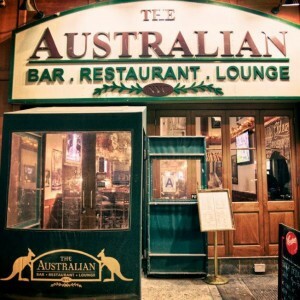 The Australian NYC is a little piece of Australia tucked into Midtown Manhattan. 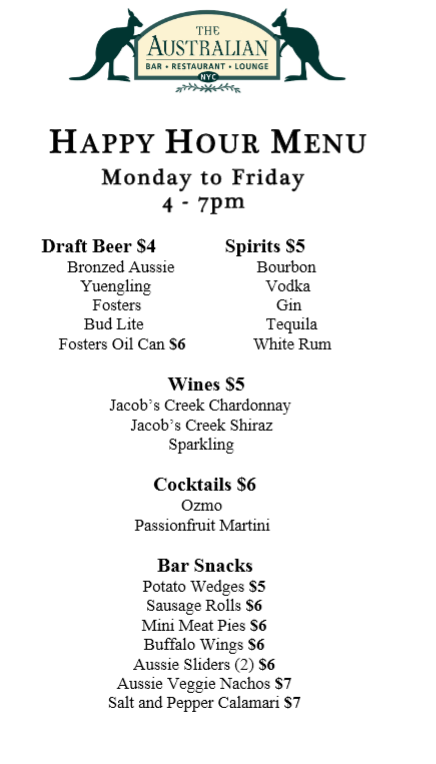 Their 22 TVs show sports from around the world, from NBA basketball to Aussie Rules Football. The main bar has plenty of space for a Happy Hour beer, and there’s a full restaurant if you want to settle into a booth for a meal.